Thank you for all of the positive response to my new filming schedule! :] I am super excited to be creating lots of new content to share with you! 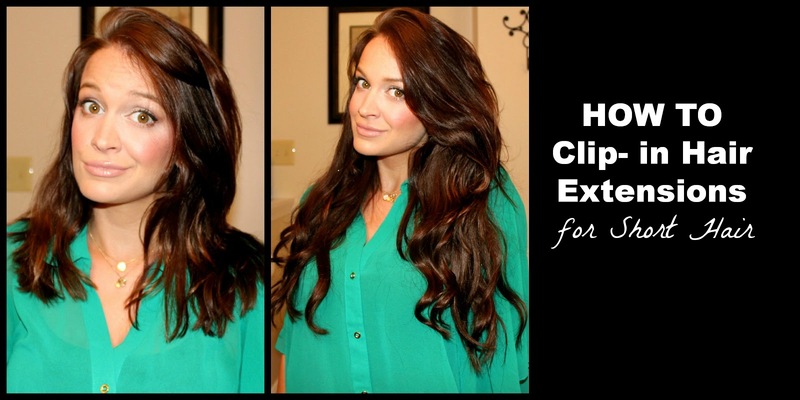 Remember to check out my Youtube channel every Tuesday and Thursday for new videos! My first Thursday video is a compilation of the BEST Hair Products EVER! and includes all of my very favorite shampoos, conditioners, leave in conditioners and styling products. First and foremost, I just want to thank everyone for their support of my youtube channel! I am truly living my dream, and following my passion. I wouldn't be where I am today if it weren't for all of you amazing beauties! So from the bottom of my heart, Thank you for the love. In the past few months, I have fallen off the bandwagon with my video making (as many of you have probably noticed) and to those of you who have been waiting, thank you for sticking with me during my break! Transitioning from military to civilian life was a huge change for my husband and I, and things we're quite hectic with our big move. Now that we are settled into our temporary residence, I am excited to be catching up with everyone in the beauty community! I've decided to start uploading every week on Tuesdays and Thursdays. I look forward to hearing from all of you, and getting to share my tips, tricks and finds with you more often! Kringle Candle Review & Best Kringle Candle Scents ! 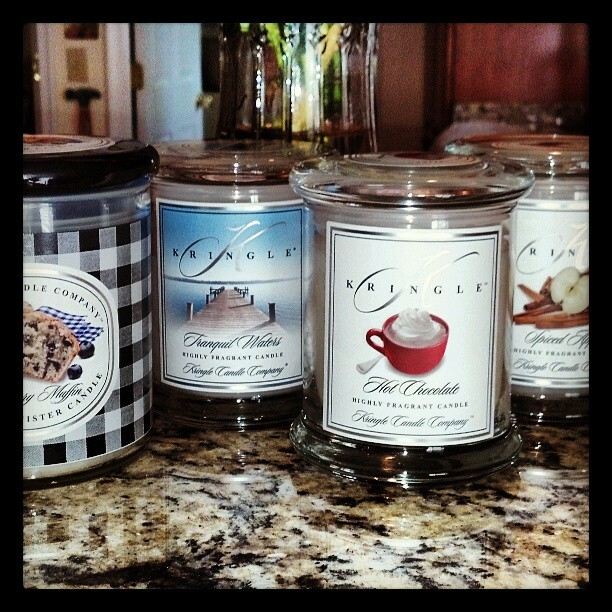 Let me start off by saying that ALL of the scents I've tried from Kringle Candle are EXTREMELY fragrant. People that love intense aromatic payoff, like myself, will absolutely LOVE these candles! I also noticed that all of their candles are white in color so that they give off the brightest, purest light possible. These candles are also very heavy and solid, you can practically feel the quality and substance of these babies! My Favorite candle style was the medium Kitchen Canister, how cute is that gingham packaging?! The Blueberry Muffin scent was so true, and intensely fragrant. This candle will be perfect for my kitchen; who doesn't love the smell of freshly baked blueberry muffins? My favorite apothecary scent was the Spiced Apple. I'm a big fan of warm, cider smells and this one hits the nail right on the head! I can't wait to burn this scent in the fall and winter. Tranquil Waters is a fresh scent reminiscent of pure beach air, and clean laundry. The perfect scent for a foyer, or bathroom. I was also sent a few sample cards to smell some of the other amazing candle fragrances available. I decided to compile a quick list of some scents that I LOVED! Finally! 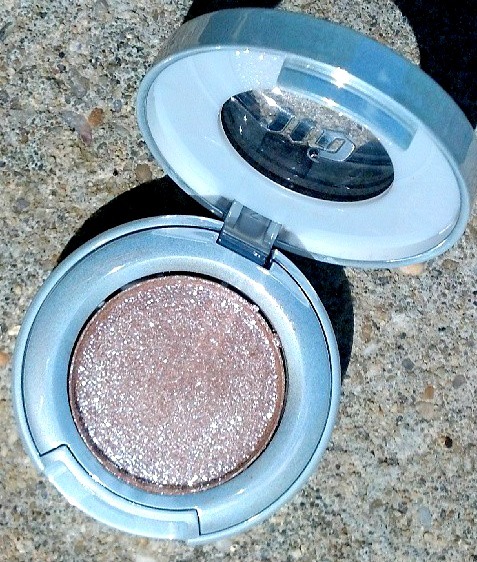 :] My Urban Decay Moondust Eyeshadow collection is complete! with the 7th & final color- "Space Cowboy" a gorgeous, glittery champagne.